Tsukika AK | Nippon Menard (M) Sdn. Bhd. 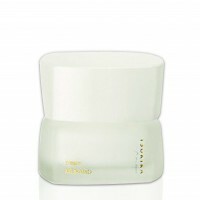 A skincare line that replenishes dewy moisture and brings out translucent skin. Tsukika improves the energy of skin and brings back a healthy condition that would not easily suffer from fine wrinkles, dehydration, and pigmentations. The Illusionary Flower – Selenicereus, bloom a beautiful large flower in a very short time at night. Menard studied its power and succeeded in extracting the essence from this precious flower. The Patented Ingredient – Selenicereus extract, improves the energy and metabolism of skin, leaves the skin healthy and would not easily suffer from fine wrinkles, dehydration and pigmentations. Though the “natural space fragrance collection method” the unique faint fragrance of Selenicereus allows ease of mind and joy. Those who concern about pigmentations, fine lines, and dehydration. The extract of Gardenia fruits is effective in turning skin into being less-troublesome and with a healthy quality by increasing the energy of cells and making their metabolism normal. The Gardenia is an evergreen shrub belonging to the Gardenia genus of the Rubiaceae family. Hyaluronic Acid is one of the components present in skin. Since it has a capacity to hold a great moisture content in it, its moisturizing effect is very high. In addition to it, Hyaluronic Acid has an excellent in affinity to skin and makes skin fresh and smooth.